ESET, a global pioneer in IT security, has found internet users in Australia and New Zealand have strong knowledge of cybersecurity best practices, but rarely apply these at home. 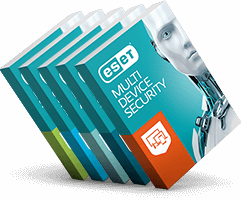 ESET’s whitepaper, ESET Australia and New Zealand cyber-savviness report: understanding and driving cybersecurity best practices, analyses the results of a survey of more than 1,300 online users across Australia and New Zealand. The survey found respondents practice significantly riskier behaviour on personal devices, despite these holding highly sensitive information such as banking details, than on work devices. Almost half the survey respondents (48%) stated they would make a purchase online and have their credit card details stored on these websites for convenience, compared to only 13% who would at work. Also, over a quarter of respondents (27%) use the same password for all accounts on their personal device, in comparison to only 16% at work. Nick FitzGerald, Senior Research Fellow at ESET, said the results were concerning, with the complexities and volumes of malware growing every day. “Weak cybersecurity behaviours on personal devices can lead to ease of identity theft, ransomware attacks, phishing, and more. Seemingly small things, like your passwords, could be the gateway hackers and e-criminals are looking for,” says FitzGerald. “While the concerns expressed in the survey results are understandable, the biggest near-future concern for most internet users we have identified at ESET is the damage and disruption of a ransomware event,” FitzGerald cautions.